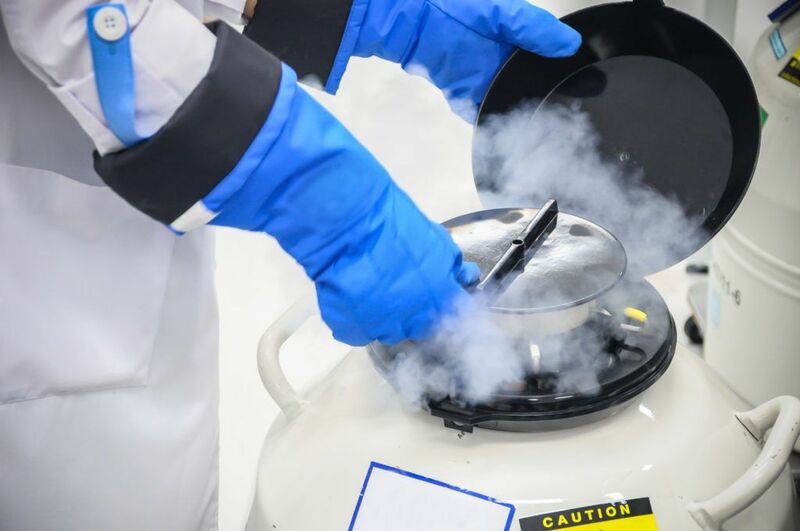 Earlier this month, more than 2,000 frozen eggs and embryos were accidentally partially-thawed at an Ohio-based hospital fertility clinic. The accident was caused by an unexpected temperature fluctuation with the tissue storage bank where the specimens were stored in liquid nitrogen. The eggs and embryos were moved to a different cryotank but the incident has left over 700 patients wondering if their frozen samples are still viable and able to be used for in vitro fertilization. This serves as a bit of a catch-22 for the patients and the fertility clinic as the only way to determine whether or not the eggs and embryos can be used is by completely thawing them. However, once thawed they cannot be re-frozen. After an investigation into the cause of the malfunction done by independent experts, it was determined that the incident was left unnoticed by staff due to their remote temperature alarm system being accidentally turned off. This means that clinical staff never received an alert that the temperature inside the cryotank was rising to unsafe levels. Unfortunately, the hospital isn’t sure who turned off the alarm or how long it was disabled for. Unfortunately, equipment malfunctions do happen and often times without any warning. The best way to ensure that important laboratory specimens can be maintained and protected during these failures is with the help of an automated temperature and environmental monitoring solution. This enables healthcare organizations to receive alerts when equipment temperatures and samples are outside of their monitored thresholds. This allows staff to take immediate action which helps eliminate product loss and ensure the accuracy of samples and diagnostic testing. Had the fertility clinic known in real-time that the frozen eggs and embryos were approaching unsafe storage temperatures, staff would have been able to immediately move the samples to a functional cryotank. Automated environmental monitoring systems allow the user to monitor and document a range of information such as temperature, humidity, carbon-dioxide, and other important conditions. Along with instantaneous alerts when refrigeration groups approach their thresholds, these solutions help simplify compliance and generate a variety of useful reports on multiple units. CenTrak’s Environmental Monitoring solution provides healthcare facilities with the ability to leverage one network to ensure all departments meet compliance standards and prevent product loss. Contact us today to set up a free demo!